Today, I would like to introduce Brazilian representative dish “Churrasco”. 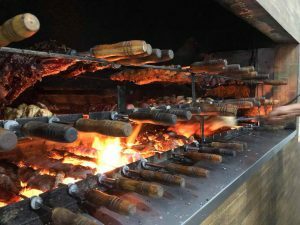 “Churrasco” is a meat dish that is grilled various parts of different meat, mainly beef, on metal skewer, with salt thoroughly on charcoal fire. 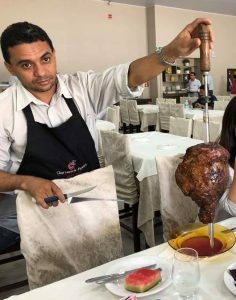 In the restaurant serving churrasco, the waiters bring the skewered meat lumps to the guest tables, and the guests request them to cut out as much meat as they want. Anyway, the waiters bring meat all the time, so if you get the meat each time, you will be full of your stomach soon. You must select the meat carefully and focus on the meat only you want and eat it strategically. 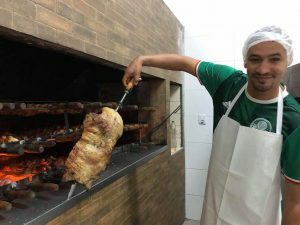 The Brazilians, who shared a table with me, select the part of meat and doneness strictly, and ordered even the place to cut meat. 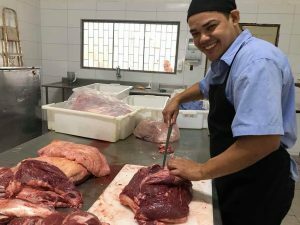 Brazil is just as expected, the second largest producer of beef in the world. 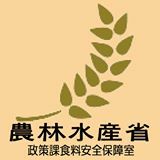 They have a deep knowledge of beef and extremely love beef. Beef for Brazilian people might be like tuna for Japanese people.